In architecture, material choice is key. It affects the overall look of a building, of course — but it can also help solve complex design challenges. 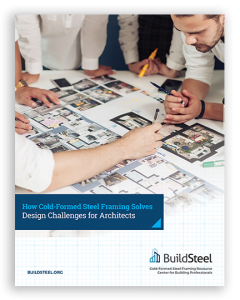 Our new eBook, “How Cold-Formed Steel Framing Solves Design Challenges for Architects,” highlights five unique projects that were completed successfully with CFS framing.